We have an ongoing commitment to being open and honest with our customers and stakeholders – keeping everyone fully informed about how we are performing and progressing the delivery of the promises we made under our 2015-20 Business Plan. You can read our latest update in our Interim Report covering the first six months of the 2018-19 financial year. Importantly, we are also taking part in the water industry's Discover Water initiative. Under this, a dedicated national website has been created – the first of its kind in Europe. This allows householders across England and Wales to quickly and easily see how their water company is performing and compare it to other companies. 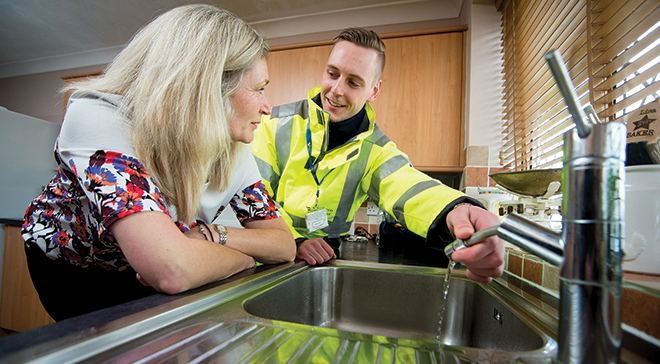 Discover Water is a collaborative water sector-wide project, which it's hoped will encourage customers to talk to their local companies and influence decisions on how their services are run. The scheme is being led and funded by water companies, delivered by an independent third party and overseen by a sector-wide group, including the water industry's regulators and consumer watchdog. The Discover Water website currently covers 2017-18 performance, with the information available set to be updated at regular intervals. You can also find details of how we performed during 2017-18 in our latest annual report.